Cardio exercise is short for cardiovascular or cardiopulmonary exercise. Cardio is aerobic exercise, which means in the presence of oxygen. By contrast, weight training is anaerobic, which means without oxygen. Any activity where you raise your heart rate above your resting level for a time period of longer than around 90 seconds can be considered cardio. Despite the obvious difference between cardio and weight training, the best cardio exercise and weight training do have their similarities. Continuous use of your body’s largest muscle groups (i.e. the legs) causes your heart and lungs to continuously transfer more oxygen from your lungs to your blood and working muscles. All this work requires energy which is either taken from your body’s carbohydrate stores or body fat. Like weight training, the type of cardio you do will effect your metabolism hours after your cardio session. The higher the intensity, the higher your EPOC will be. EPOC means Excess Post-Exercise Oxygen Consumption. The higher your heart rate was on average during your workout, the longer you will burn calories after recovering from your training. Again, as with weight training, you must constantly change your variables to make progress. It may seem obvious, but if you run a 10 minute mile and have the goal of an 8 minute mile, you must try to run faster than 10 to improve. If you exercise at the same intensity over and over again, you will not improve. The SAID principle says it all: Specific Adaptations to Imposed Demands means if you want to improve your fitness, strength, tone up, burn fat, and lose weight you must perform exercises which stimulates your body to do that specific task. Just because you lose 5 pounds from your regimen on the elliptical machine in the first week does not mean you will lose 5 pounds every week. Your body can adapt to even the best cardio exercise rather fast. Your heart rate is by far the most important variable for the best cardio exercise. Heart rate during exercise determines your intensity, just like the amount of weight you use in weight training. If you do not monitor your heart rate, it will be very difficult to determine if you are making progress. Your resting heart rate is how many times your hearts beats per minute while you are at rest. It is measured in BPM, which stands for Beats Per Minute. It is important to get an accurate reading of your resting heart rate if you want to find your beginning target heart rate zone. You can determine your resting heart rate by taking your pulse for a minute. You can take your pulse at your neck or wrist. Just remember to use your index and middle finger not your thumb because it has its own pulse. You can also count the beats in a 5, 10, 20, or 30 second interval and multiply by whatever it takes to get to 60 to determine your resting heart rate. The best time to determine your resting heart rate is right after you wake up in the morning. Once you know your resting heart rate you can move onto the next step. You can use the Karvonen formula to find your target heart range. The first step of the Karvonen formula is to get a rough estimate of your theoretic maximum heart rate. 220 – your age is an easy way to estimate your maximum heart rate. Subtract your RHR (Resting Heart Rate) from your maximum heart rate then multiply by the low end and high end of your target zone 65% and 85% The last step is to add on your resting heart rate to both numbers to find your zone. For example, say you are 40 years old with a resting heart rate of 70 beats per minute. 141.5 – 163.5 BPM is your Target Heart Rate zone. How High Should Your Heart Rate Get During the Best Cardio Exercise? You Have Your Target Heart Rate Zone, Now What? You have done the math and determined your target heart rate zone: now you are ready to start the best cardio exercise. The Karvonen formula has estimated a safe and effective range which you should shoot for during the first part of your exercise program. This does not mean you should stay at this range for the duration of your training. As previously mentioned, to make improvements in your cardiovascular fitness and lose weight or tone up, you must make steady improvements. With regard to heart rate, your heart rate response should decrease over time when performing the same intensity of exercise. 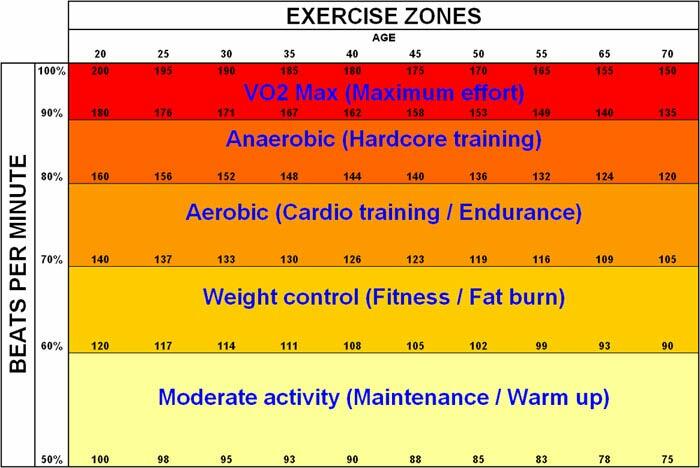 You may also have seen exercise zones charts (below) which have fat burning zones. These charts give the wrong impression that if you perform low intensity, slow cardio exercise, you will burn more fat overall. This only holds true for the duration of the exercise which is insignificant as far as burning fat off your body goes. 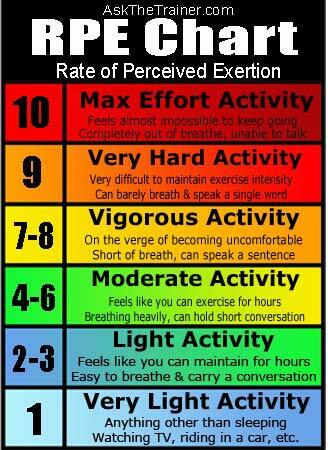 A better chart to go by is the RPE which stands for Rate of Perceived Exertion chart. This chart quantifies your exercise intensity by how you feel. The Fat Burning Zone is a Myth! Burning fat efficiently is best achieved with a low fat, low calorie diet, intense cardio exercise, and a full body complete weight training program, not 30 minutes of lackadaisical cardio exercise. The time you spend exercising (unless you run a marathon every day) is insignificant compared to the time you aren’t exercising. This means that to maximize cardio exercise you should perform it at your highest comfortable intensity and to not be bound by some chart or formula. Interval training causes your heart rate to go up and down in intervals and has been shown to be the most effective form of cardio for fat burning. During interval training, your heart rate usually goes up into the higher zones for short periods of time. You can learn more about interval training on the best cardio exercise workout page. The only correct answer to this question is, “whenever you feel like it.” There is no point to performing cardio at a certain time just because it is “supposed to be the best.” If you don’t have the energy for a cardio session, it is best to rest. If you exercise when you don’t feel like doing so, you will get a low quality workout. You may have read or heard that it is best to do your cardio exercise first thing in the morning for fat loss. The story that cardio burns more fat in the morning on an empty stomach is just another exercise myth. The great thing about cardio is you can raise your heart rate by doing many different things in many different places. As long as you get your heart rate up for an extended period of time, you are doing cardio. You can go for a swim at your local pool, play tennis, ride your bicycle and do many other things in and out of your local or home gym. The best place to do cardio is where you enjoy doing cardio. It may sound like a simple answer, but it is most important to enjoy your activities, because it will be far more likely that you will keep it up. As far as the great outdoors, the best place to do cardio depends on your goals. If you are looking to tone up and burn fat, the best place is a setting where there is a mixture of hills, flat ground, and steps. Now That You Know All The Information, Are You Ready to Find Your Best Cardio Exercise? The best cardio exercises require an elevation in your heart rate above resting level. The best cardio exercise should be performed within your target heart rate zone at first. You should try to increase your exercise intensity periodically. Interval training is best for fat burning. You should perform your favorite cardio exercises at places you enjoy. At home, in the park, at the gym, or anywhere else that motivates you. Find out how to get a great cardio workout while doing something which is not as boring or monotonous as an hour on a treadmill in your local crowded gym or garage. 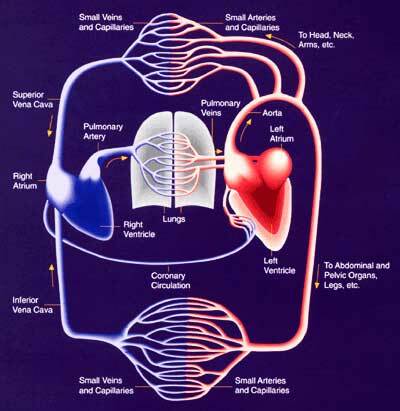 Learn more about specific variables which can make any cardio exercise a great cardio exercise. Learn how to start fresh with a walking, jogging, or running program to burn those extra calories at home or at the gym. Whether you look to bring the gym to your home or enjoy cardio exercise in the gym, here are some machines which are great for getting your heart rate up. Learn why and how you can get the best cardio exercise on almost all machines while avoiding certain pitfalls. Just can’t seem to tone up the way you want? If you learn all about your body fat, it will be easier to understand how to get rid of it to have the toned, lean body you want. 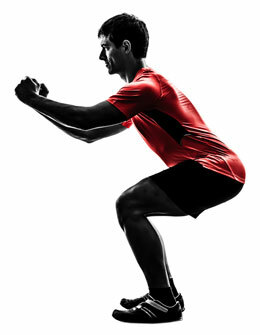 Click on any body part of the human anatomy chart to find the best resistance training exercises. Resistance training goes hand-in-hand with your cardio to help you get in shape and stay in shape.